Once playfully describing himself as a “Chassidic reggae superstar,” Matisyahu is a difficult-to-classify musical force. And that’s by design: with roots in reggae, hip-hop and Jewish tradition, the beatboxing singer makes music that smashes genre classification. Across his six albums – beginning with 2004’s Shake off the Dust … Arise and through his brand new album Undercurrent, Matisyahu has deftly carved out a niche all his own. With a penchant for improvisation – and a band with the chops to pull it off in a live setting – Matisyahu takes his music wherever the spirit leads him. Though his younger years in White Plains, New York included immersion in the tenets of his Jewish faith, it was only as he grew into adulthood that Matisyahu (born Matthew Paul Miller) fully embraced Judaism. Matisyahu’s spiritual concerns might be said to be one of the three points of his musical foundation. The others came earlier. As a teenager in the ’90s, Matisyahu attended a concert featuring The Roots, Common and beatboxers. “That was the first time I took hip-hop seriously,” he says. But hip-hop and jam are only two of the styles that inform Matisyahu’s music. “Step Out into the Light,” the opening track on Undercurrent, is steeped in soul. 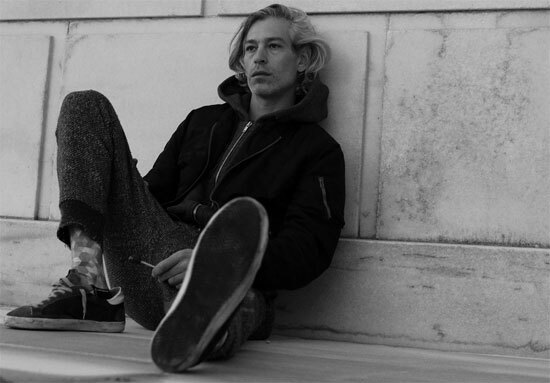 He says that when writing that track, he sought to “create something that feels organic and like a throwback, but not in the sense of the style of the music.” Matisyahu aims to push the style forward, he says. He characterizes the music on Undercurrent as the most authentic as to what he does with his band 200 days a year on the road. Matisyahu notes the traditional working method for many creative artists: write songs, record them yourself, put together a band, learn the songs, and tour. His approach, he says, is similar, but almost in reverse. First he develops a vision for the new project. Then he asks himself, “Who are the musicians that are going to be able to create that sound?” He assembles the band and heads out on the road for a year or so. “50% of a show will be improvisation,” he says. Performances are recorded, but only for reference. With the record done, Matisyahu takes his band back on the road to promote the album, but still maintains a focus on improvisation. The members of his current band – guitarist Aaron Dugan, bassist Stu Brooks, percussionist Cyro Baptista, drummer Tim Keiper and keyboardist Rob Marscher – have deep experience playing jazz. Matisyahu believes that having top-notch musicians is critical. Without them, “that’s where all the clichés of bad jam bands come into play, of just noodling around on the same notes and not actually having the music tell a story and go some place.